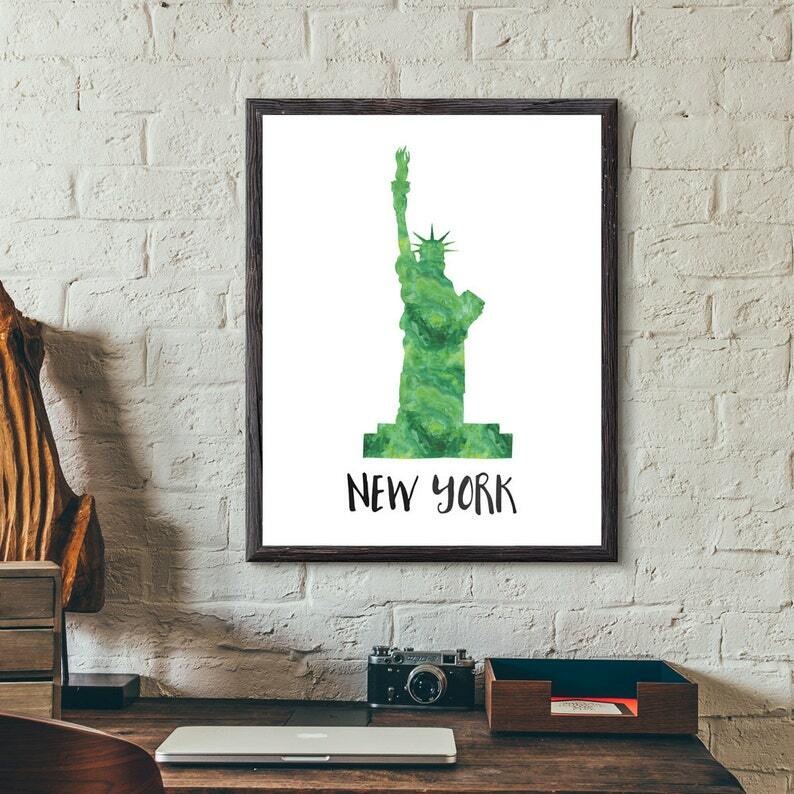 This beautiful watercolor print of one of New York City and America's most recognizable landmarks, The Statue of Liberty. Constructed in France, Lady Liberty has graced New York Harbor since her dedication in 1886. She is the symbol of American Freedom and one of the first things many immigrants (including each of my grandparents) saw from their boats as they reached the US shores.